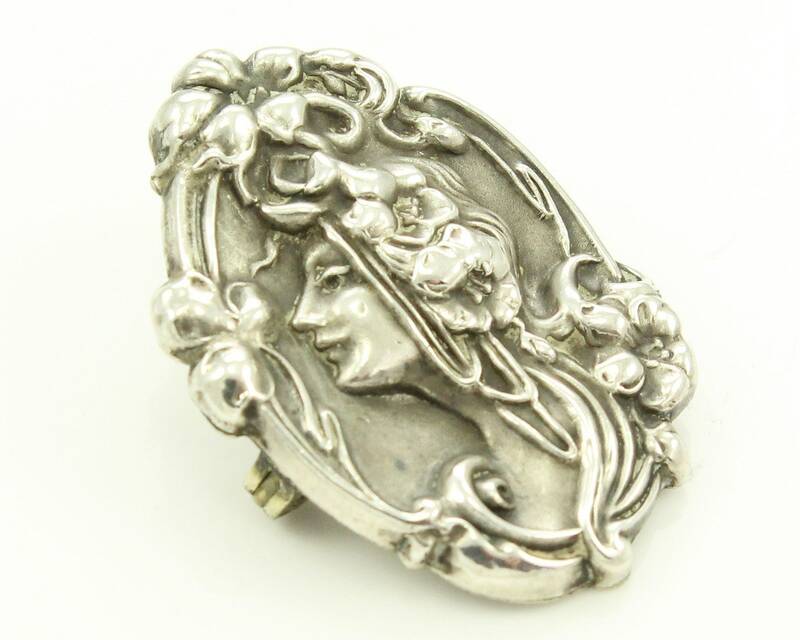 Antique Art Nouveau Lady with Flowers Sterling Silver Front Pin. 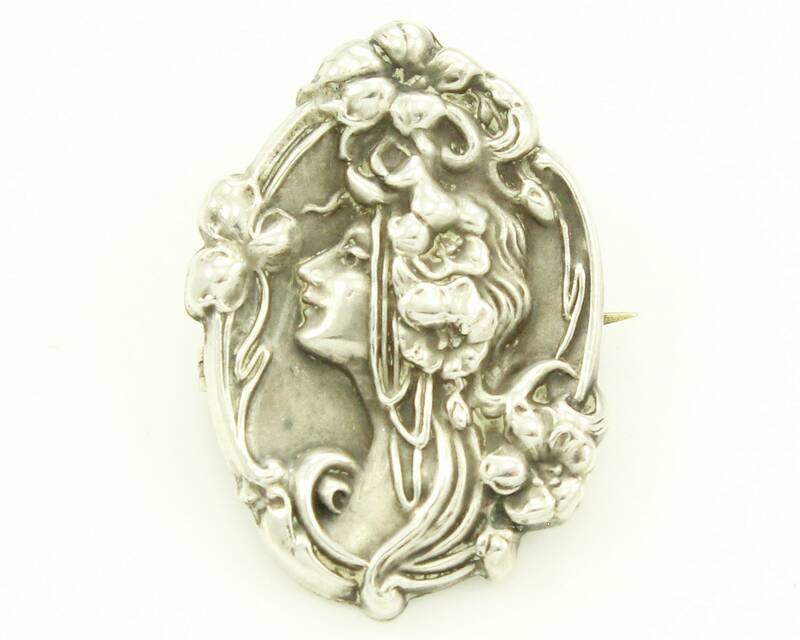 This dainty little pin features a lovely lady with floral hair ornaments and whiplash curves, as well as a flower frame. It is diminutive at 1 x 5/8 inches. 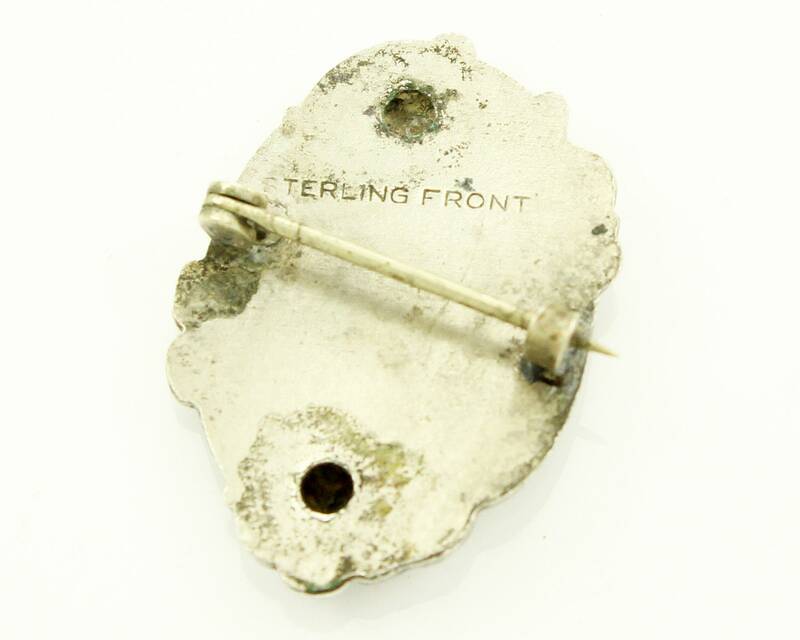 Marked Sterling Front. CONDITION: Very Good Vintage Condition with minor surface wear. Pin was previously owned and worn.